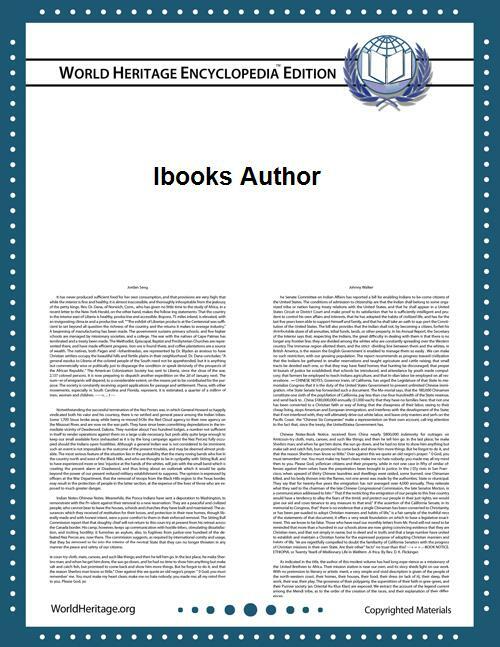 iBooks Author (iBA) is an e-book authoring application by Apple Inc. Documents created with iBooks Author may be exported as PDF files or be published to the Apple iBooks Bookstore. iBooks Author is available free of charge. Apple released iBooks Author on January 19, 2012 at an education-focused special event in New York City. Simultaneously, Apple also released iBooks 2 and a new iBooks Bookstore category for textbooks. The software is proprietary and available only for Mac OS X. Apple offers it for free download in the Mac App Store. Apple describes iBooks Author as a tool for "educators and smaller publishers to create their own books". Documents created by iBooks Author may only be sold for a fee if they are accepted by and distributed by Apple, but authors also have the option to distribute their work anywhere if the work is being distributed for free. Many aspects of a document may be edited in WYSIWYG fashion, including text, fonts, colors, foreground and background images, interactive widgets, and charts. Tables of contents and glossaries may be managed with some automation. The user interface and editing features have been described as nearly identical to Apple's Keynote and Pages products. Apple clarified its position on rights of ebooks generated by iBooks Author on Feb 3, 2012 to address some controversy that its ebooks could be sold only through the Apple Bookstore, specifying that only books carrying the .ibooks suffix were subject to such restrictions. Apple also specified that the use of the software to create text or PDF files are within the terms of its user agreement. 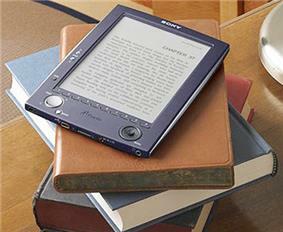 To offer your book on the iBookstore, an International Standard Book Number, or ISBN, is recommended but not required. An ISBN is a standardized identifier for books and is necessary for industry-wide sales charts and data sharing. Note that you can only provide an ISBN during the initial book delivery. The output of iBooks Author is a proprietary Apple file format similar to the EPUB standard, but with extensions that prevent it from being universally readable or editable as an EPUB document. The format uses undocumented, proprietary XML namespaces and undocumented extensions to CSS. 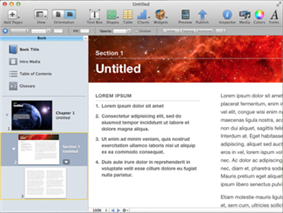 A new version of iBooks Author was released on October 23, 2012. It includes embedded fonts, mathematical equation rendering, and more interactivity options. On October 22, 2013, iBooks Author received another update which included compatibility with OSX Mavericks. ^ a b "Mac App Store - iBooks Author". Apple Inc. Retrieved March 16, 2013. ^ a b Chloe Albanesius (January 19, 2012). "Apple Targets Educators Via iBooks 2, iBooks Author, iTunes U App". PCMag.com. ^ Josh Lowensohn (January 19, 2012). "Apple unveils iBooks 2 for digital textbooks, self-pub app (live blog)". CNET. ^ "If you publish with iBooks Author, does Apple 'own' you?". ^ Gary Marshall (January 20, 2012). "Hands on: iBooks Author review". TechRadar.com. ^ Apple modifies EULA for iBooks: Lays no claim to content, allows authors to distribute elsewhere. 9to5Mac. Retrieved February 4, 2012. ^ Dilger, Daniel. "First Look: Apple's new iBooks Author". Apple Insider. Retrieved January 22, 2012. ^ Bott, Ed (January 22, 2012). "How Apple is sabotaging an open standard for digital books". ZDNet. Retrieved January 30, 2012. ^ Daniel Glazman (January 20, 2012). "iBooks Author, a nice tool but..". www.glazman.org. Retrieved February 6, 2012. ^ Caldwell, Serenity (October 23, 2012). "Apple reveals updated iBooks Author with portrait-only orientation". Macworld. Retrieved October 23, 2012. ^ "iBooks Author updated with ePub and InDesign importer, and more". Retrieved October 17, 2014. OS X-only software made by Apple Inc.